The vase incorporates intricate hand chased detail. Made in wrought steel, burnished with a natural beeswax finish. A collection of up to eight snowdrops is included which can be arranged individually. 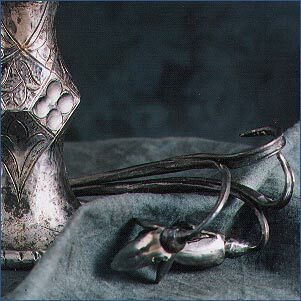 Individually designed by Paul Allen and hand made in the forge. The vase is formed from a single piece of steel and drawn out into shape. 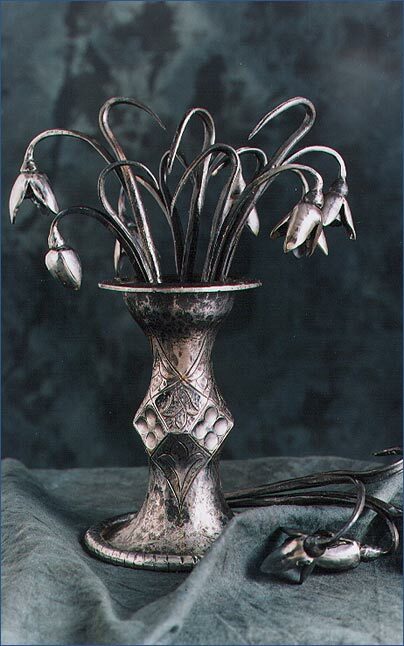 Each snowdrop is individually styled and hand forged, with stainless steel petals and calyx.